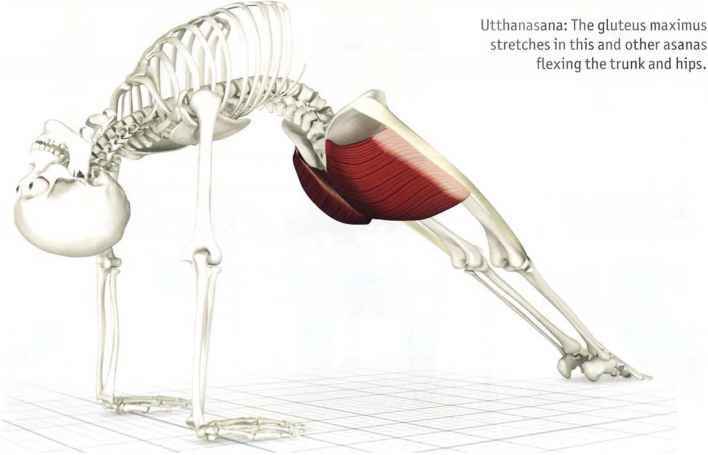 Utthanasana: The gluteus maximus stretches in this and other asanas flexing the trunk and hips. 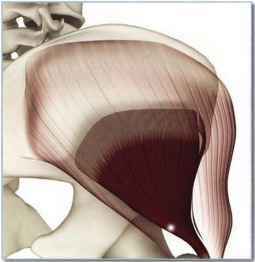 The gluteus medius presents a medium-sized, fan-shaped muscle located forward of the gluteus maximus, which partially covers it. The gluteus medius inserts on the tip of the greater trochanter (a protuberance on the proximal femur to which muscles attach). 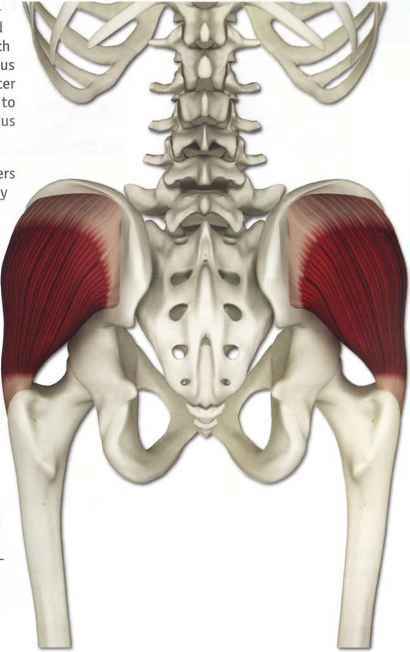 The gluteus medius covers the gluteus minimus. 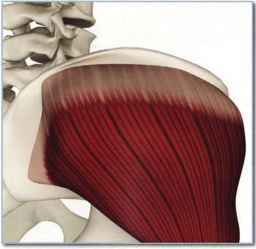 Direction and placement of muscle fibers determines the movement produced by contraction. Anterior fibers internally rotate and middle fibers abduct the femur. When the femuris fixed in place, as in one-legged standing poses, contracting the gluteus medius tilts the pelvis, maintaining balance. We are largely unaware of the gluteus medius, though it is constantly active and balances the pelvis when standing and walking. Contract it in backbends to counterbalance the external rotation of the hips produced by contraction of the gluteus maximus. 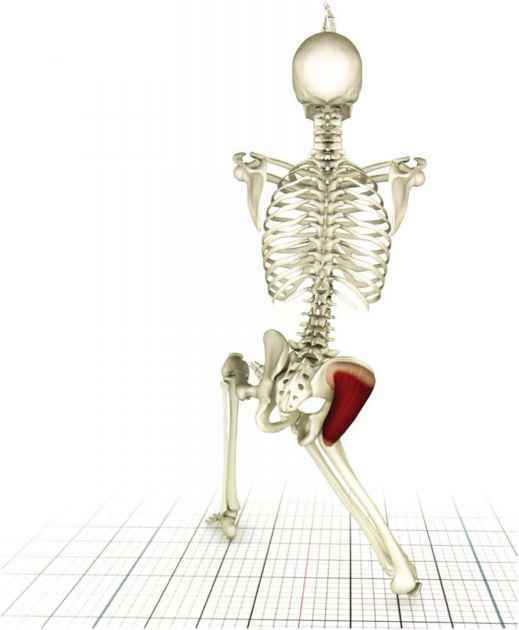 Tightness in the gluteus medius limits postures that require extensive external rotation of the femur at the hip (e.g. lotus posture). Weakness limits one-legged standing poses. Outer surface of ilium below the iliac crest and anterior to the gluteus maximus origin. Superior surface of greater trochanter of the proximal femur. 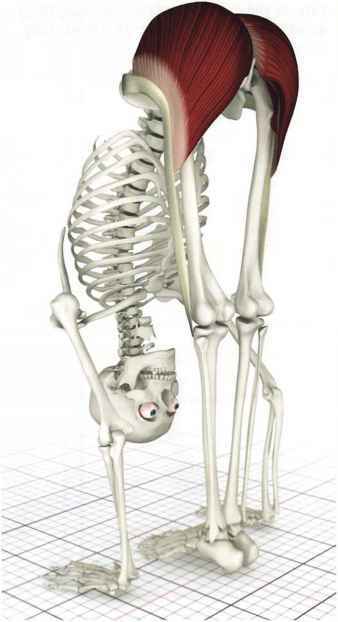 This see-through image of the gluteus medius illustrates the position of the gluteus minimus, which has a similar function. Outer surface of the ilium below and anterior to the gluteus medius origin. Anterior portion of the greater trochanter. (iliiteus minimus, tensor fascia lata and piriformis. Adductor group and quadratus femoris. 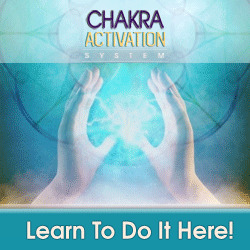 Abducts and internally rotates hip. 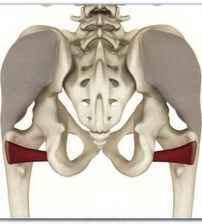 Stabilizes pelvis during walking. Posterior fibers may externally rotate thigh. The gluteus medius contracts and abducts the bent leg in janusirasana. Anterior fibers also medially rotate the thigh, protecting the knee. 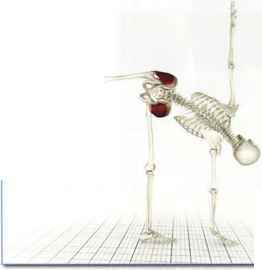 The gluteus medius contracts and abducts the straight leg, lifting itin ardhachandrasana. Contracting the gluteus medius in marichyasana IV accentuates the twist. This isometric contraction awakens the gluteus medius. Contracting the gluteus medius in the back leg of parivrtta trikonasana accentuates the twist from the trunk by rotating the femur. 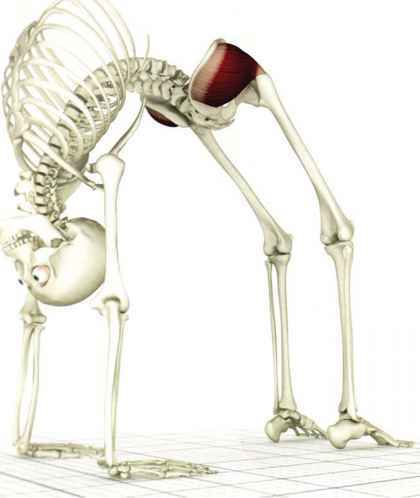 Vatayanasana: Externally rotating the hip stretches the gluteus medius (especially the anterior fibers). 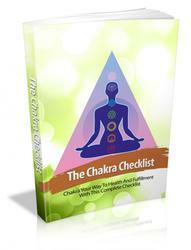 All poses with a lotus component to the hips (external rotation) accomplish this. Urdhvadhanurasana: Contracting the anterior fibers of the gluteus medius internally rotates the hips and releases stress at the sacroiliac joint created by contracting the gluteus maximus (to extend the hip). Where is the gluteus minimus? How to stretch glute muscle? 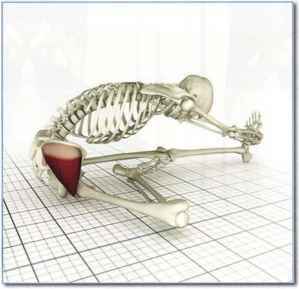 What muscles are contracted in purvottanasana? 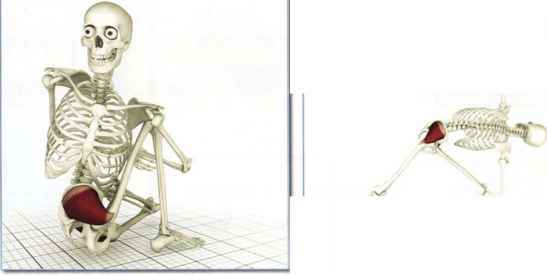 How to achieve femur rotation for lotus? 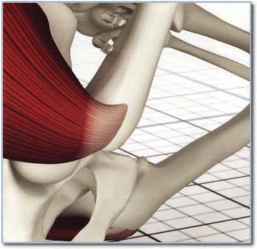 Where is the gluteus maximus located in the body? Where Is The Gluteus Medius? 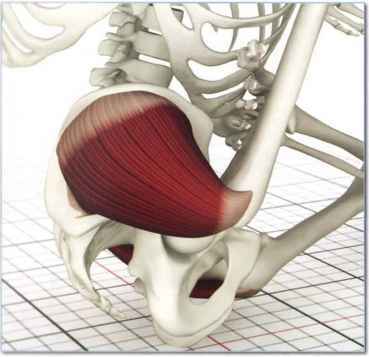 Where is the gluteus medius muscle located? 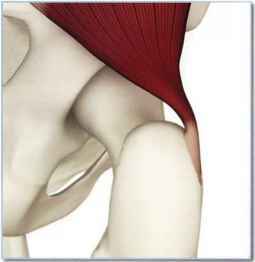 Where is the gluteus minimus located?